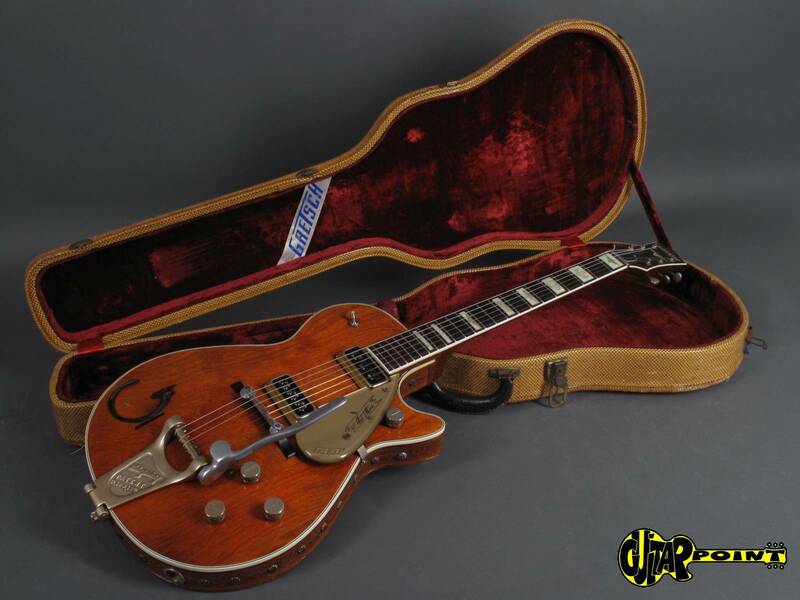 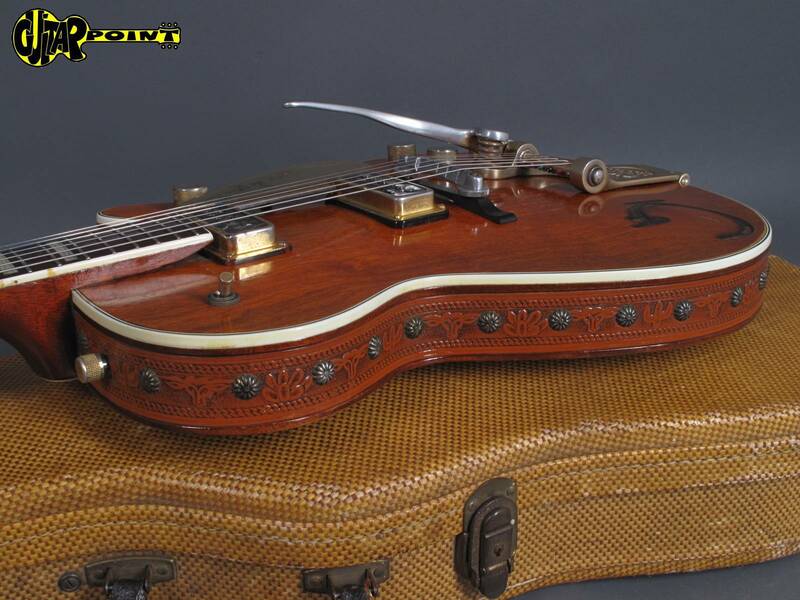 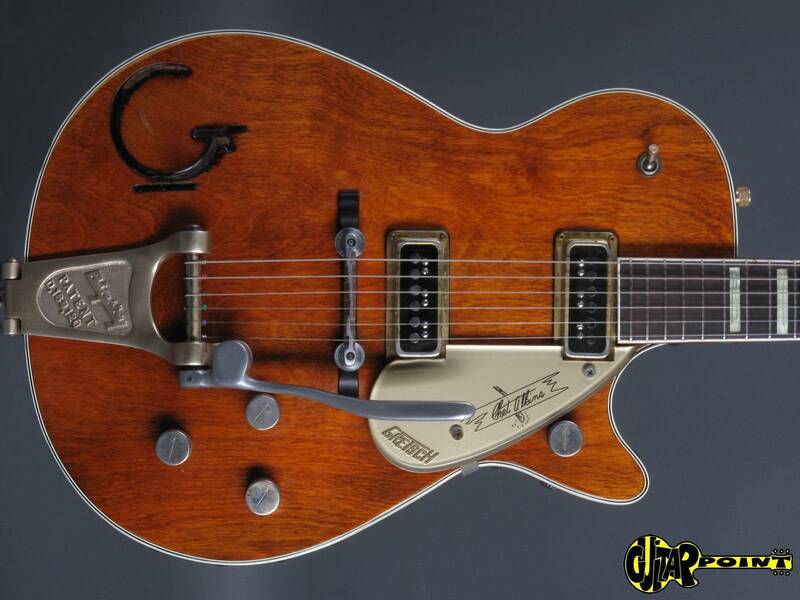 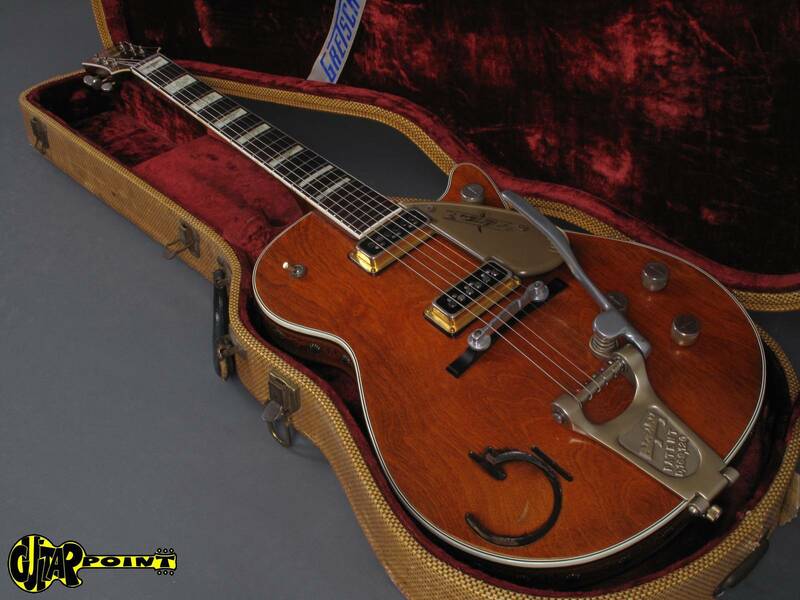 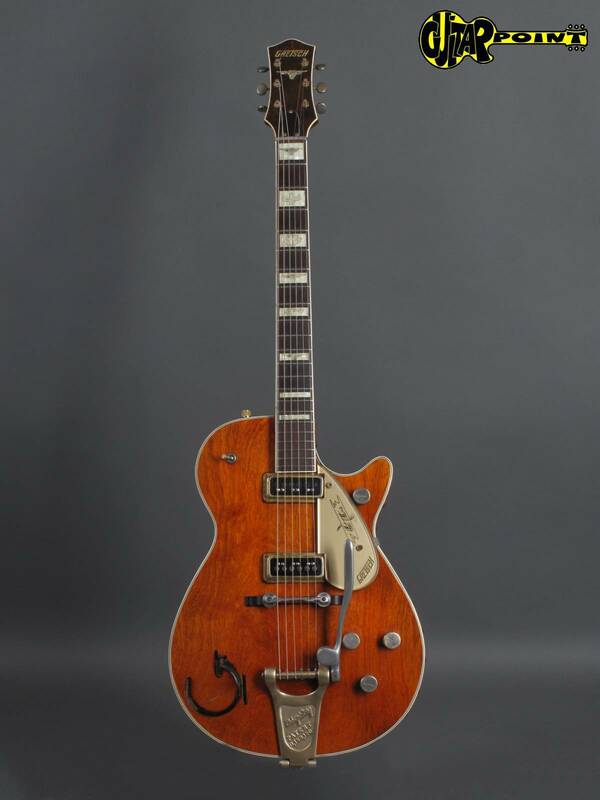 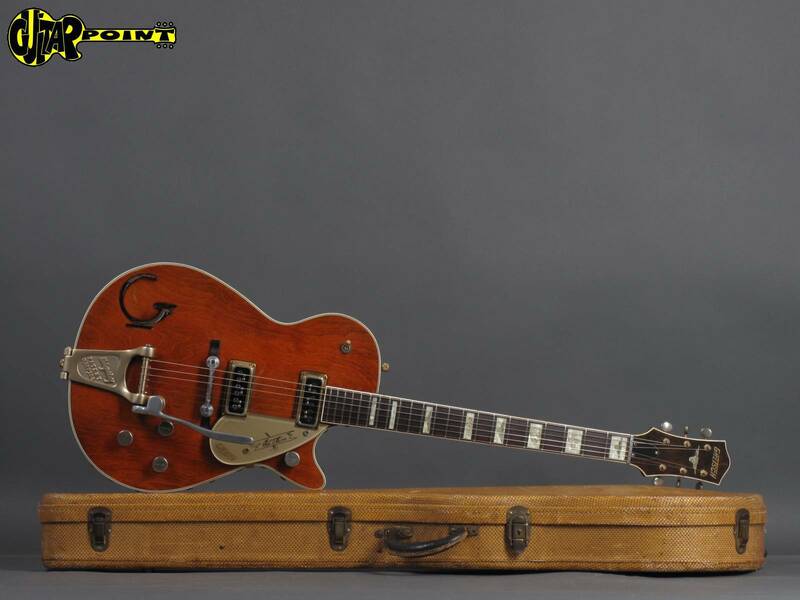 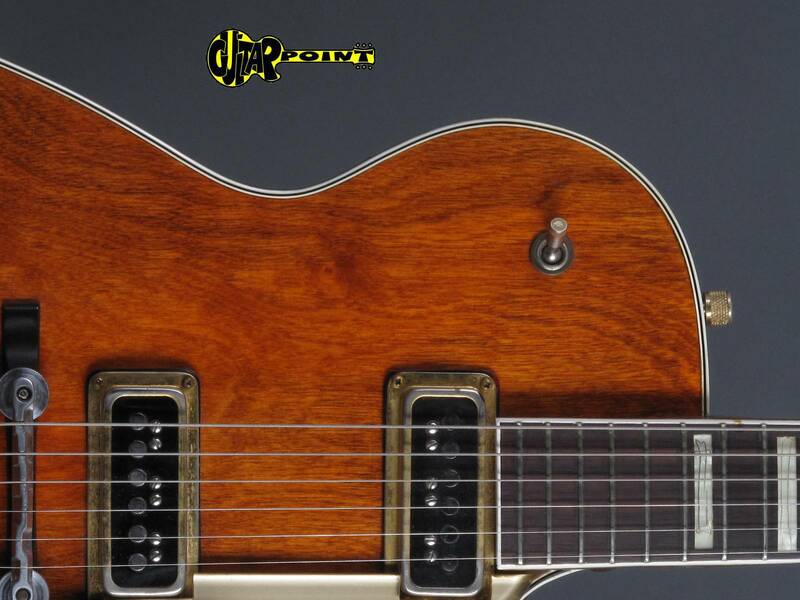 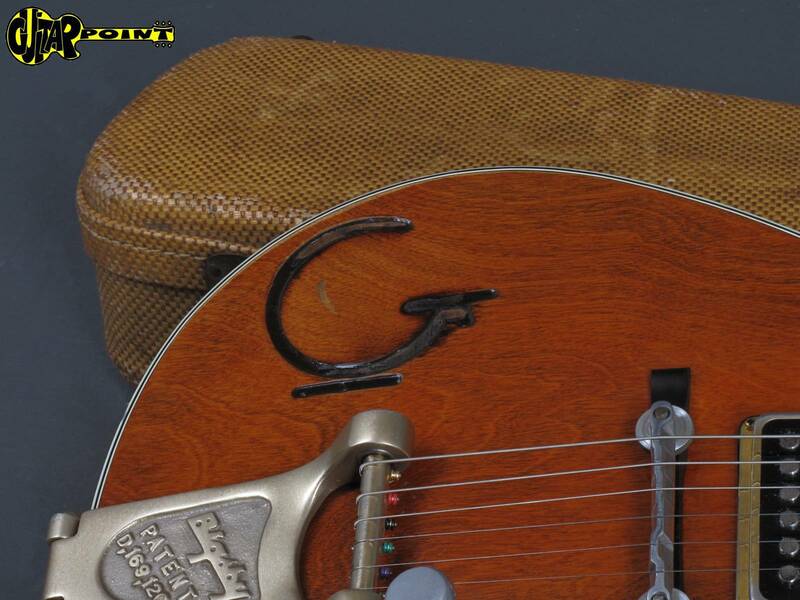 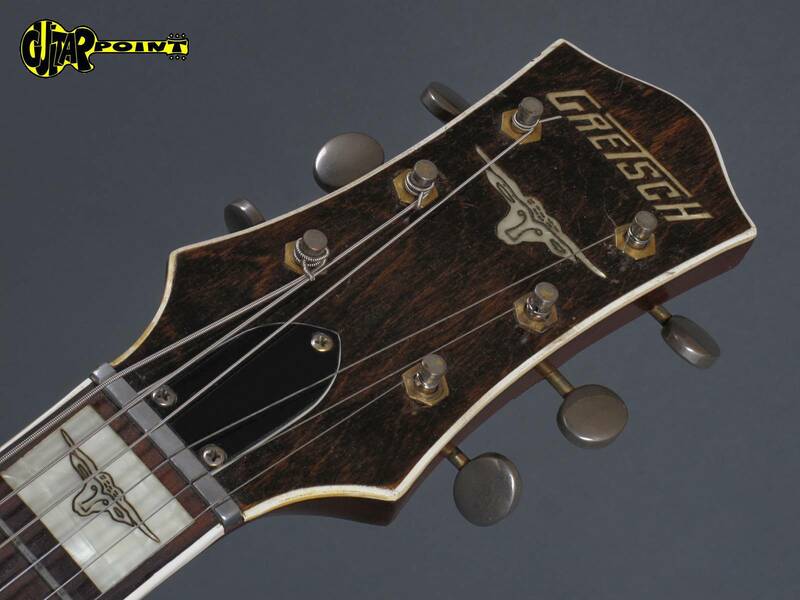 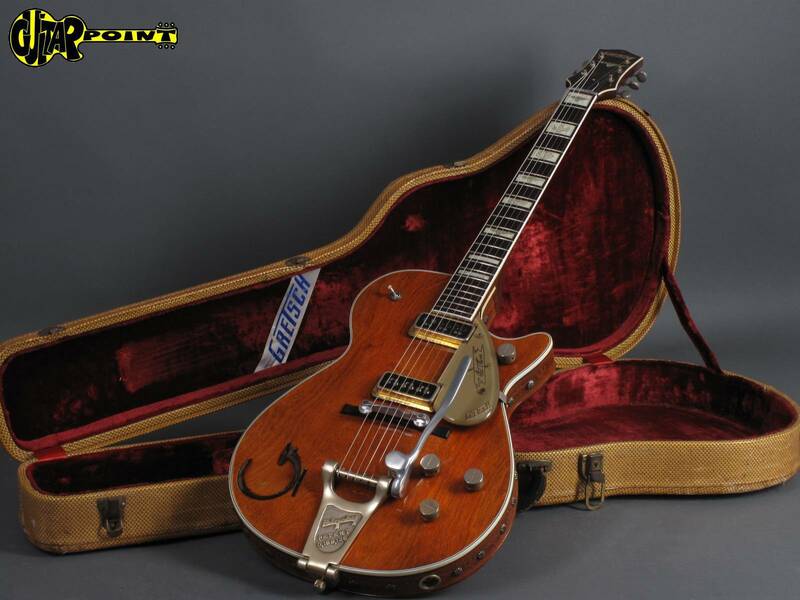 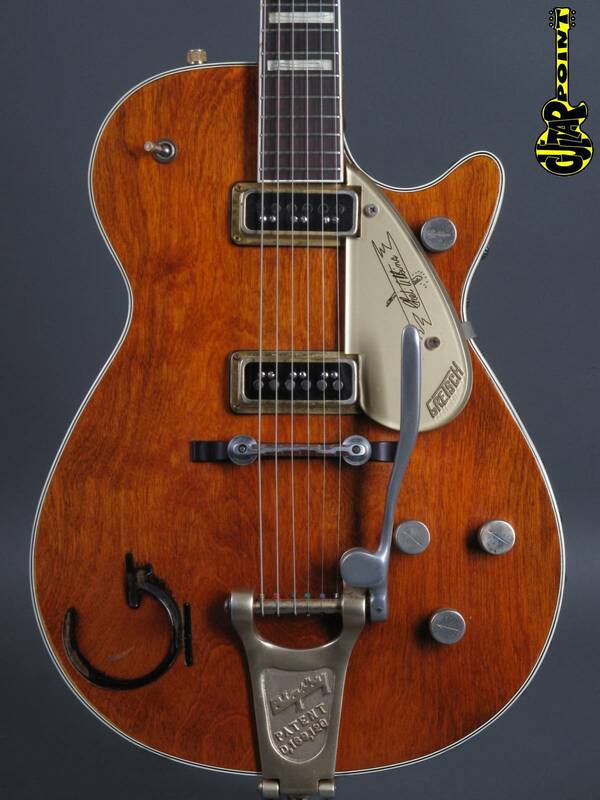 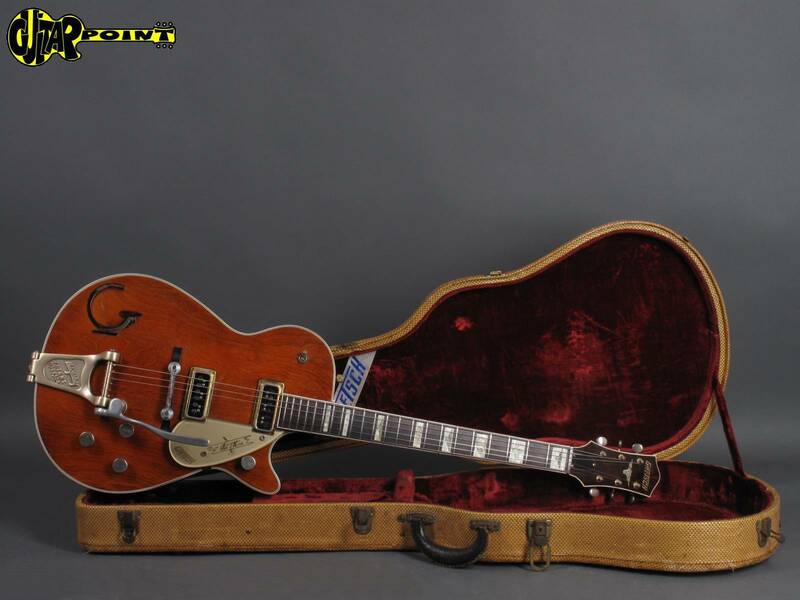 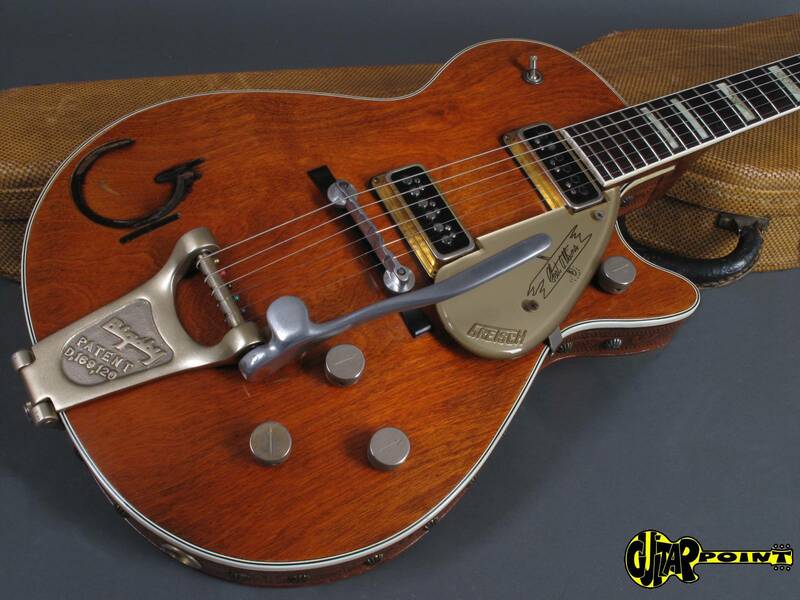 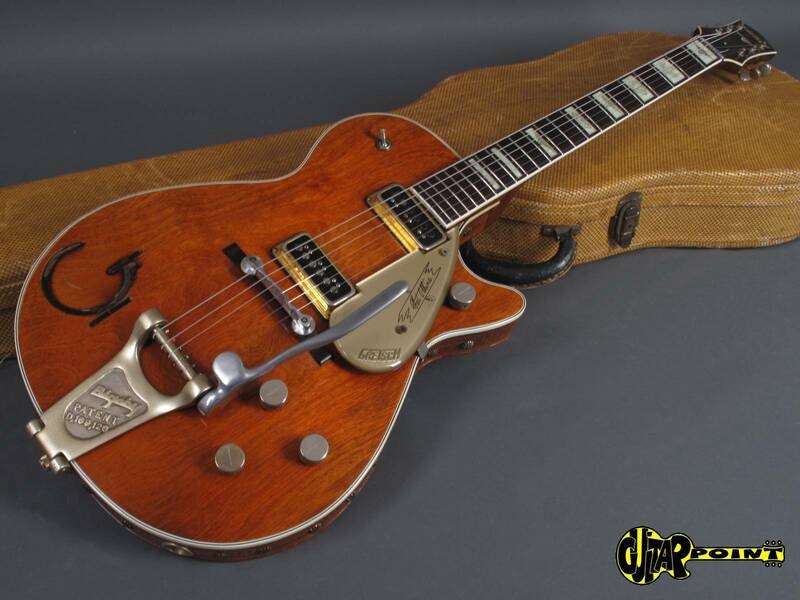 1955 Gretsch 6121 - Chet Atkins all original and in excellent condition for its 63(!) 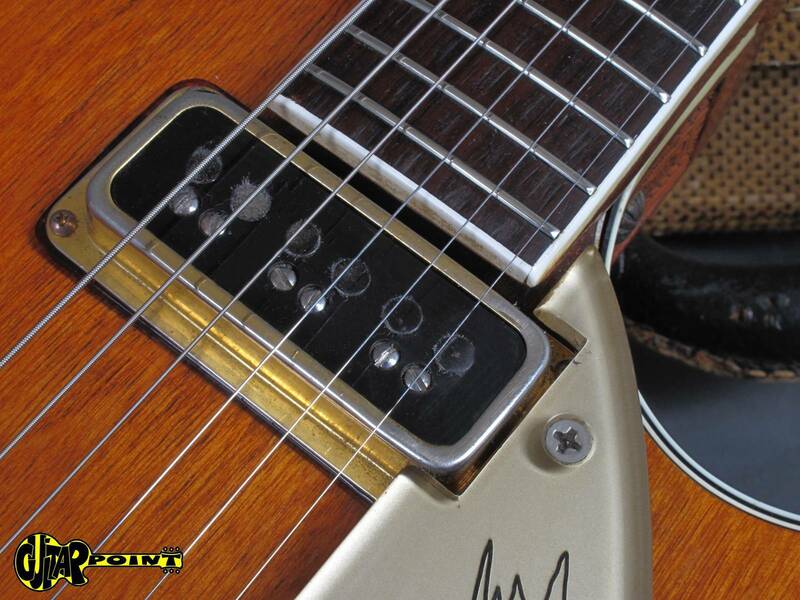 years. 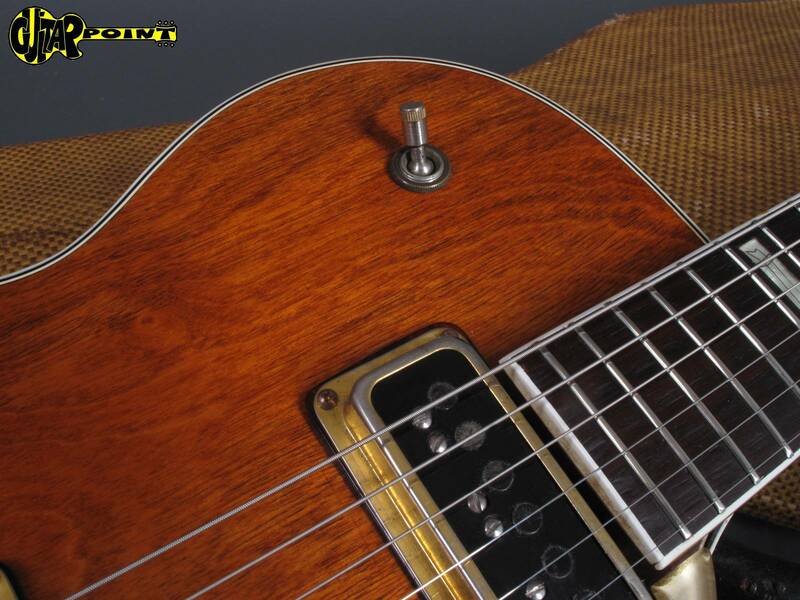 The guitar some minor play-wear and little weatherchecking, but no cracks, repairs or other hidden damages. 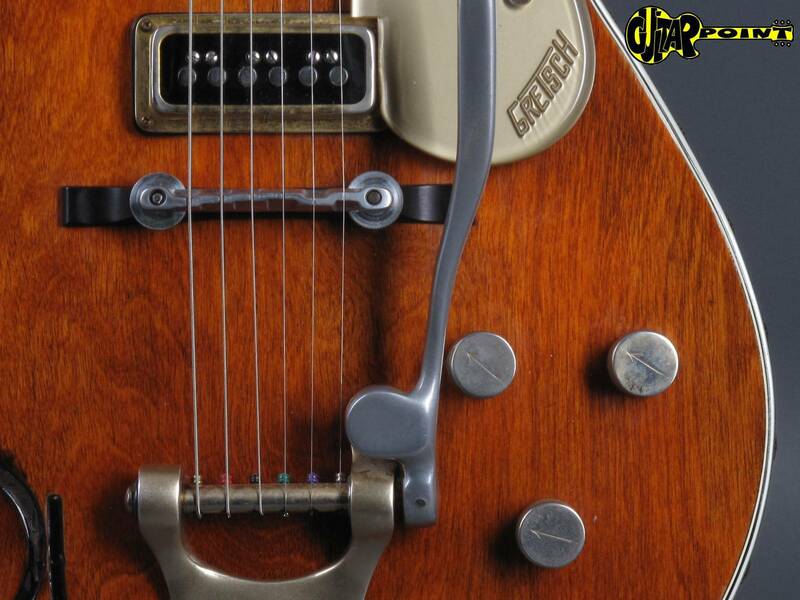 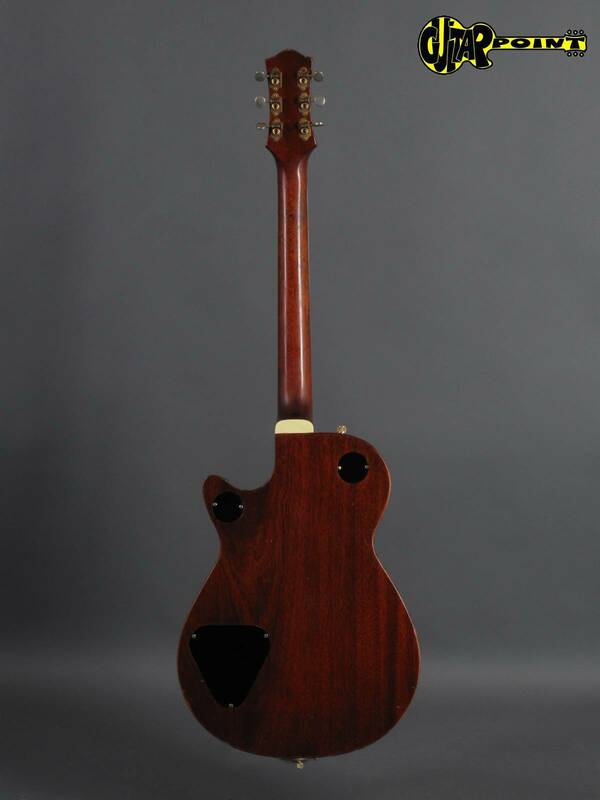 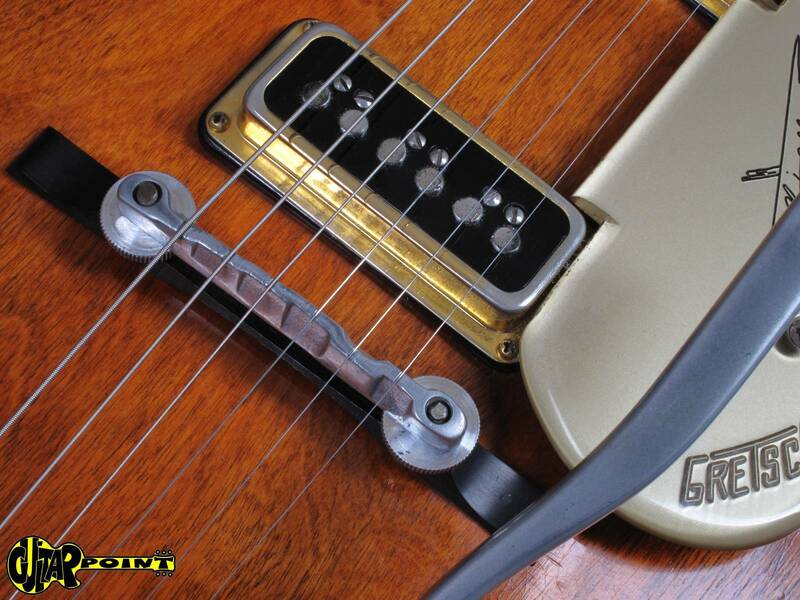 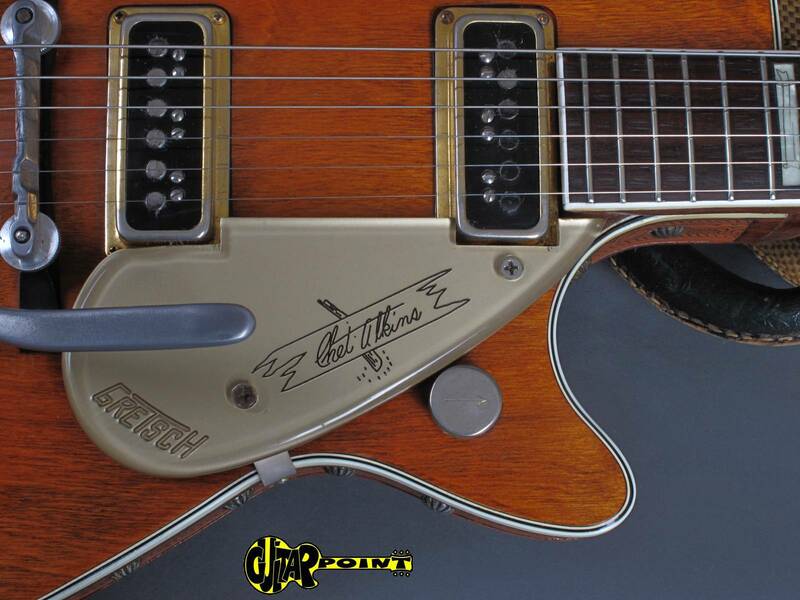 The two Darmond pickups have outputs of 3,28K and 3,43K and sound phantastic in that guitar. 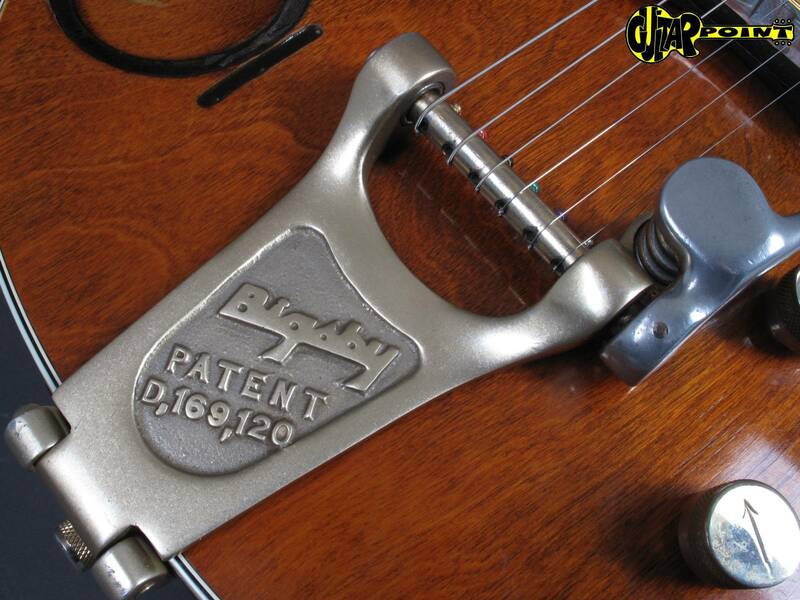 Early style Bigsby with fixed handle bar, G-brand body and a comfortable light weight of only 3,43Kg. 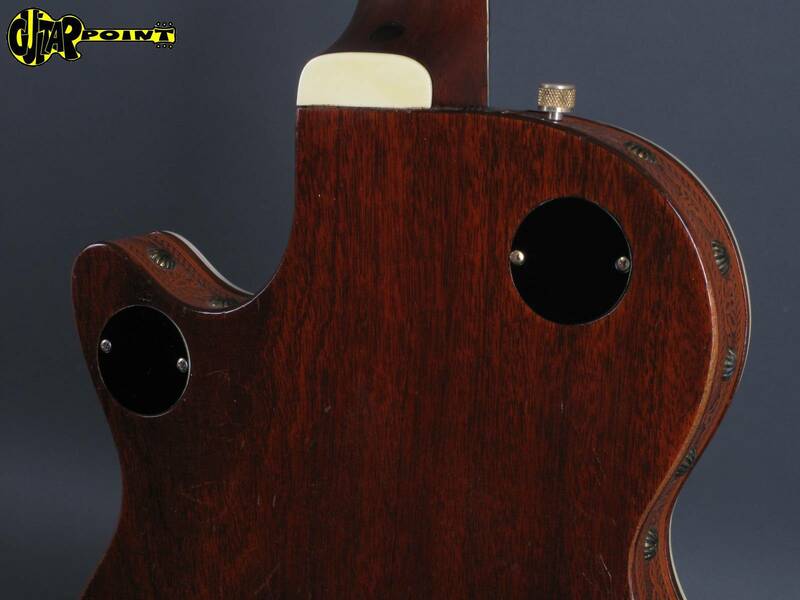 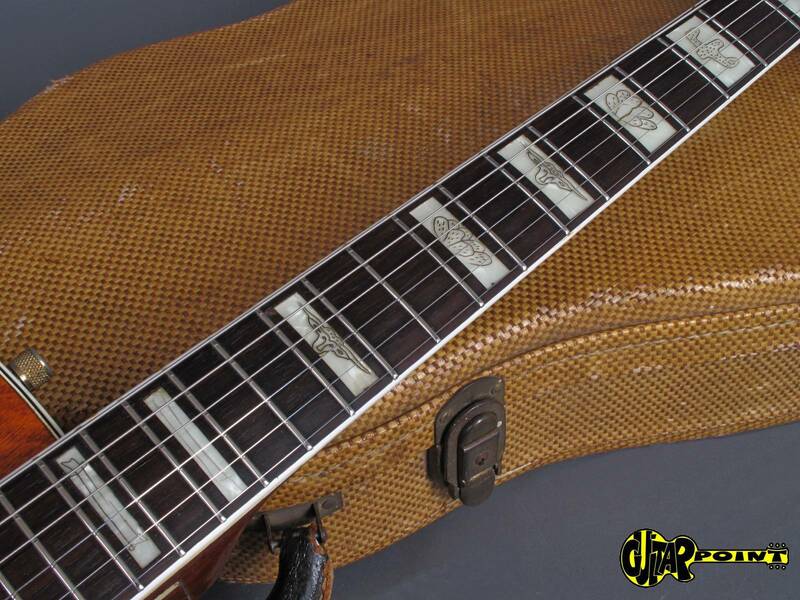 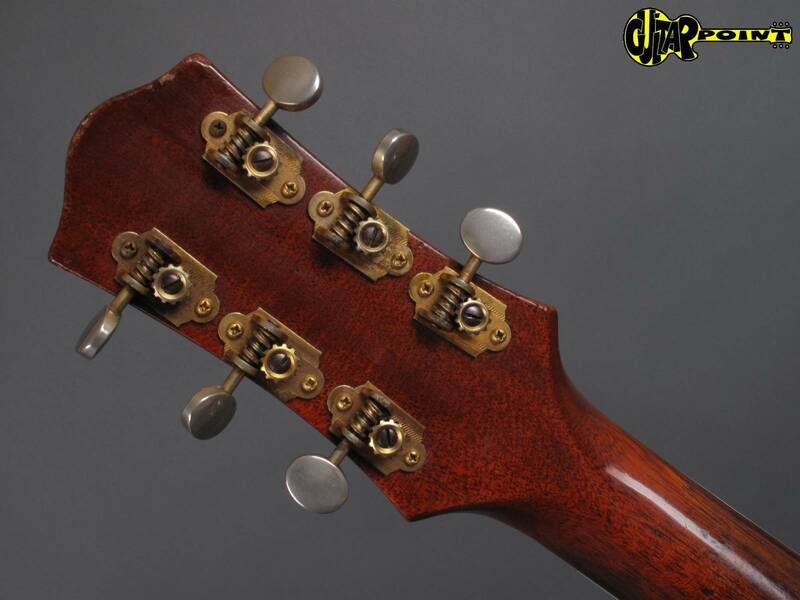 The frets are in great condition, playability is superb! 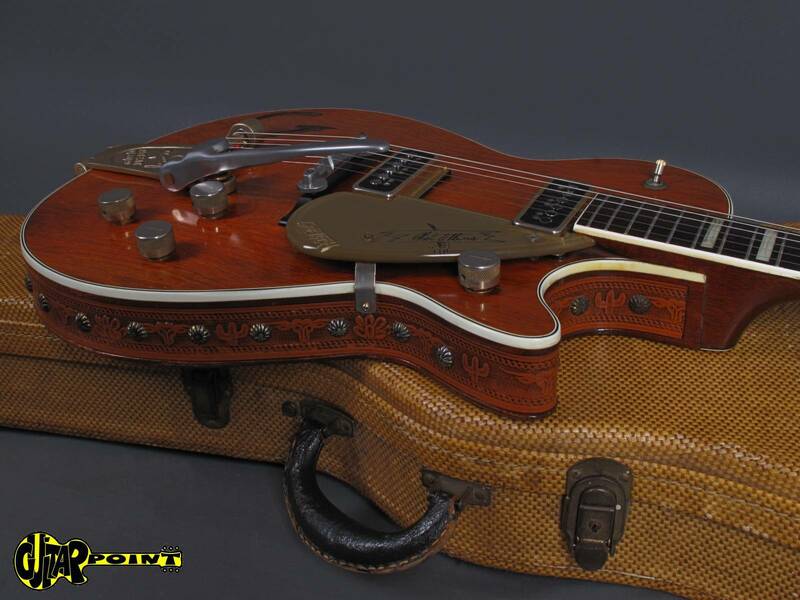 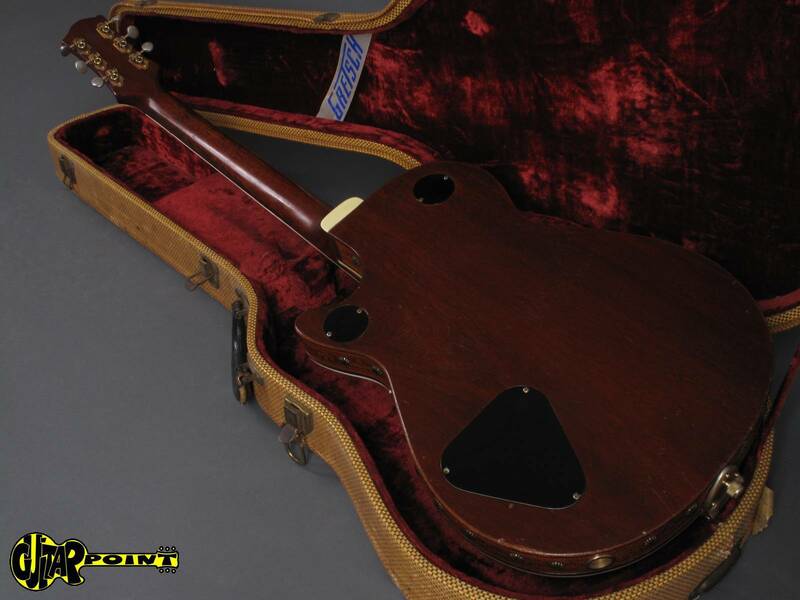 Comes in its original Gretsch tweed case.